Branched Chain Amino Acids (BCAAs) used correctly conserve muscle mass and contribute to weight loss. They have a low amount of calories, and are the basic building blocks for any proteins. In some studies, BCAA supplementation has been shown to decrease soreness in muscles trained (3). As far as use, every day is concerned, these are supplements you would want to take if you had all of your nutrition strictly controlled, and you were looking to really gain that last possible amount of muscle and lose that last bit of fat. Typically, this isn’t something that would be in a beginner/intermediate repertoire of supplements. Taking BCAAs at the correct time has been shown to increase serum Testosterone levels, and decrease Cortisol and Creatine Kinase levels (1). Additionally, glucagon is stimulated to a high degree, as well as a small amount of insulin, necessary to inhibit muscle breakdown. BCAAs could be taken upon waking, 30-60 minutes before working out, or immediately after working out in order to prevent catabolism of muscle. Typically one could use 5g of BCAAs, and up to a total of 10g post-workout in order to achieve the desired results. As little as 6g per day, split into two doses has been shown to stimulate an effect (1). When choosing BCAAs, toxicology studies have shown that a ratio of 2:1:1 for Leucine:Isoleucine:Valine, which is similar to animal protein, and so a product that has this similar profile should be chosen (2). BCAAs are effectively analogous to proteins. These little building blocks are what make up the protein in your muscles, and proteins in general. Specifically, particular building blocks are essential; your body cannot produce them. Your body will break down muscle if it does not have enough of them in order to make new protein in parts of your body requiring new protein. The increase of testosterone, with decrease in cortisol and creatine kinase means that it has both anabolic properties, and anti-catabolic properties. Lowering cortisol is also a helpful way to decrease fat (long term effects) in your mid-section. Creatine kinase is one measure of muscle breakdown, and the decrease in this shows that muscle breakdown decreases with the use of BCAAs. BCAA catabolism is regulated by an enzyme known as Branched-Chain alpha-Keto Acid Dehydrogenase(BCKDH). This enzyme is responsible for breaking down BCAAs into useful fuel, as a secondary source instead of glucose. Finally, BCAAs, and specifically Leucine-derived intermediates inhibit the activity of this enzyme via a phosphorylation event (Provided by BCKDH Kinase), which means that when you take in BCAAs, it prevents further breakdown of muscle, because the enzyme sees that there is enough fuel around to drive your body. To summarize, BCAAs are low in calories, have high anabolic properties, have been shown to lower Cortisol, raise Testosterone, and prevents excessive muscle breakdown, while decreasing soreness in recovery from exercise. We hope this has been helpful. Best of luck as you move forward toward your goals, we’re rooting for you, always. Sharp CP, Pearson DR. “Amino acid supplements and recovery from high-intensity resistance training.” J Strength Cond Res. 2010 Apr;24(4):1125-30. Shimomura Y, Murakami T, Nakai N, Nagasaki M, Harris RA. “Exercise promotes BCAA catabolism: effects of BCAA supplementation on skeletal muscle during exercise.” J Nutr. 2004 Jun;134(6 Suppl):1583S-1587S. Jackman SR, Witard OC, Jeukendrup AE, Tipton KD. “Branched-chain amino acid ingestion can ameliorate soreness from eccentric exercise.” Med Sci Sports Exerc. 2010 May;42(5):962-70. Fernstrom JD. 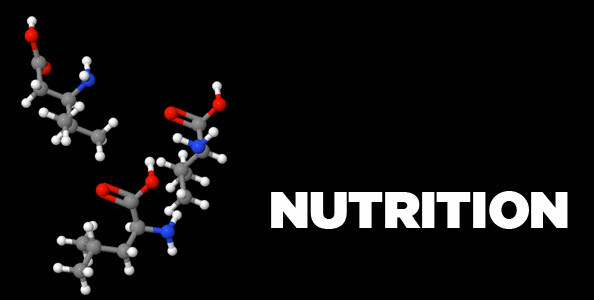 “Branched-chain amino acids and brain function.” J Nutr. 2005 Jun;135(6 Suppl):1539S-46S.